A modern and improved foundation with a blend of natural ingredients that offer lustrous finish, smooth texture, and extra coverage for uneven skin complexions. Mac's Studio Fix Fluid Foundation is one of the best product with UVA/UVB and SPF 15 for excellent sun protection. Easy to carry product with wearable and smooth texture to cover your imperfections with its flawless and fusion of finish and vibrant colors, the shade I chose to test was NC15. I have seen quite a number of people complaining about the packaging of Studio Fix Fluid, especially the bottle which confines the foundation inside. The only discomfort with the bottle is its glass material that makes everyone sick of banging glass bottle to pour the foundation out. Moreover, the continuous banging makes it messier to pour out the desired amount of foundation that is an absolute waste of the product. Also, the glass bottle is a bit heavy to carry and travel. Eventually, to limit your temper and clutter you’ll have to purchase an extra airless pump or nozzle for ease of application. 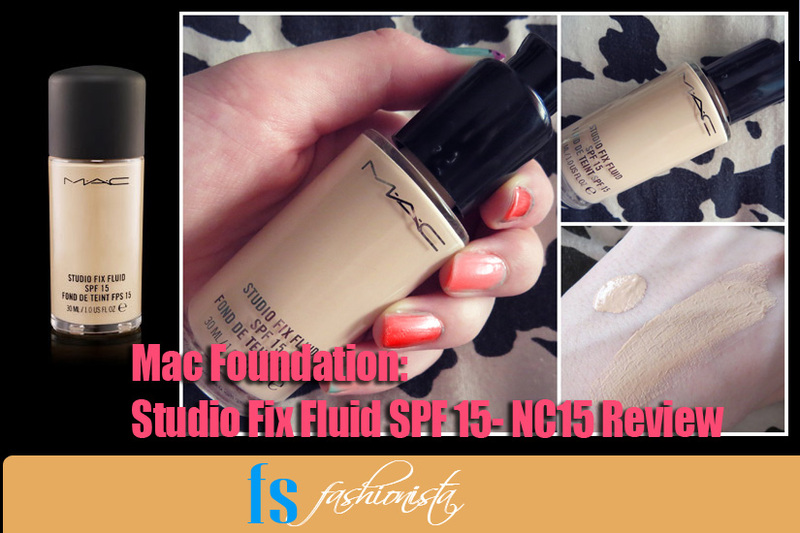 Mac Studio Fix Fluid SPF 15 foundation is a mixture of creamy and thick texture. 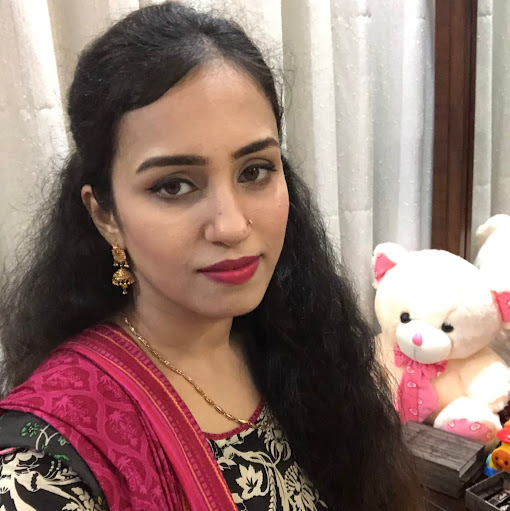 It is merely important to maintain the consistency of solution otherwise the product will dramatically change its texture and it will look quite heavy after application, so shake it well before use. Another thing that I want to add here is the smell of the product. Though the Mac products have their distinct smell, but this stuff smells terrible. Some people may call it fragrance, but its funky smell bothered me to toss the foundation out of my collection. Despite the smell, this foundation is smooth-to-apply and easy-to-blend with my skin complexion. Some foundations require a concealer to get the flawless texture, but this product requires no such combination. You can apply the foundation directly onto the skin to brighten up your tired eyes and cover the spider veins on your cheeks. The oil-free content with the SPF 15 formula gives an additional value to this product. However, in case you are a woman with a lighter complexion, do take a note that this product gets either too yellow or too light to blend with your skin. Mac Foundation is known for its longevity and staying power. Even I could easily carry this foundation for few hours without using a primer. The shades and texture will stay longer if and only if they are not frequently touched . After a few hours, the foundation may slightly lose its tone but still the color will not come off which means that the coverage of this product is still on the superior side. The faux foundation does not feel heavy on the skin but offers a soft and smooth surface. The product has good staying power which means it can stay for longer hours without showing any signs of cracks. The foundation comes with a non-drying matte texture. Only a single coat (with little quantity) can provide full coverage to the skin. The Glass bottle can be too annoying to pull out the foundation. You may need to purchase a separate airless pump or nozzle for ease of application. The product has a horrendous chemical-like smell. Mac faux foundation comes with a balance of textures to cover uneven blemishes and skin complexions. Though the product has its pros and cons but the bonuses like the balance of texture and longer staying power qualify this product to be a part of your everyday makeup. • Those who like foundations with matte finish having non-drying texture. • Those who are struggling to find a foundation to cover their spots or blemishes. • Those having oily skin but still require smooth coverage. • People with dry, flaky and sensitive skin. • People who like dewy and glowing finish.